Starting from 1st June 2010, the sale of cigarettes in packets of less than 20 sticks will be prohibited, as notified by the Ministry of Health on 1st December 2009. Cigarettes companies are given seven months from now until May 31 next year to dispose of its stocks of cigarettes in packets of less than 20 sticks. According to Health Minister Datuk Seri Liow Tiong Lai: “anyone found guilty of violating the regulation was liable to a fine of not more than RM10,000 or imprisonment for a period of not more than two years.”. How will this news affect the profit of cigarette companies? Will the companies make less money? Will they need to clear their small packs of cigarettes as soon as possible with a lower price or make a repacking on existing stocks? The sale of the two listed tobacco companies, BAT (4163) and JTINTER (2615), will be very likely to be affected by this news. What about their stock price? Since the news, the stock price of BAT dropped from RM46.10 (1st December) to RM42.42 (9th December), while the stock price of JTINTER (2615) remains steady at around RM4.90 may be due to its coming attractive dividend payout on 9th December. The recent announcement posted by BAT (4163) on Bursa mentioned that the withdrawal of packs less than 20 sticks effective 1st June 2010 will have an impact on the financial results of the company in the coming financial year. Assuming all the customers will stay with their current brand, the company’s operating profit from losing such higher margins is estimated at RM80.0 million for the next twelve month of withdrawal. This is due to the high profit margin or higher stick pricing for small packs. How will this news affect the consumers or the smokers? Are they going to buy the bigger pack or stop smoking? I think the effect at consumer side is not much. I think the government action on disposing the smaller packs will not stop people from smoking. People who like to smoke will still smoke. 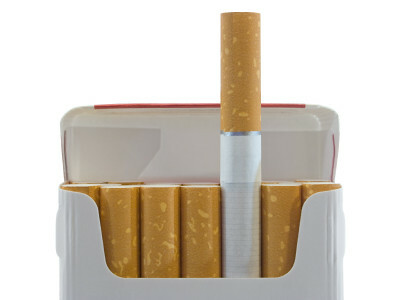 Buy a bigger pack of cigarette packs does not mean they pay more on the item. Actually they are paying low price per stick. What do you think?